Apple has bought Topsy, a San Francisco-based firm that offers Twitter analytics to companies. The deal has closed at over $200 million, according to The Wall Street Journal. A report from a few months ago said Apple was beefing up its iAd team prior to the launch of iTunes Radio. Topsy’s expertise in social marketing could certainly come in handy when trying to sell iAds. With the only full-scale index of the public social web, instantly analyze any topic, term or hashtag across years of conversations on millions of web sites. Identify key thoughts, opinions and content, over time or in realtime. Dynamically reveal related ideas and unexpected insights. Use precise metrics to model current trends against competitors or past events. Design and optimize actions, or predict future outcomes. Topsy could also be useful in the App Store for discovering apps based on what people are tweeting about. 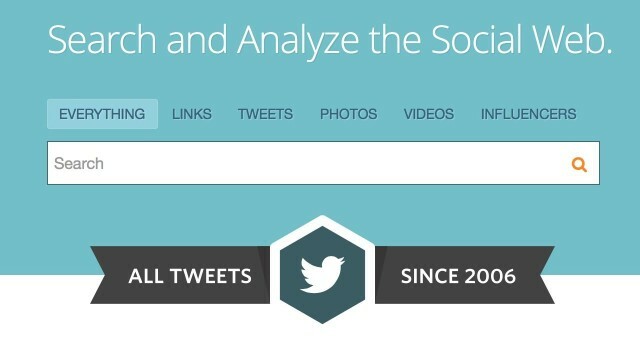 Topsy is one of only a few companies that can search all of the hundreds of billions of tweets that have been published since 2006. Although it has been improving, search in the App Store is still pretty terrible. Topsy knows how to search for large amounts of data in a social environment. The talent at Topsy may be what Apple wants out of the deal. The last company Apple acquired was the 3D-sensor maker PrimeSense.